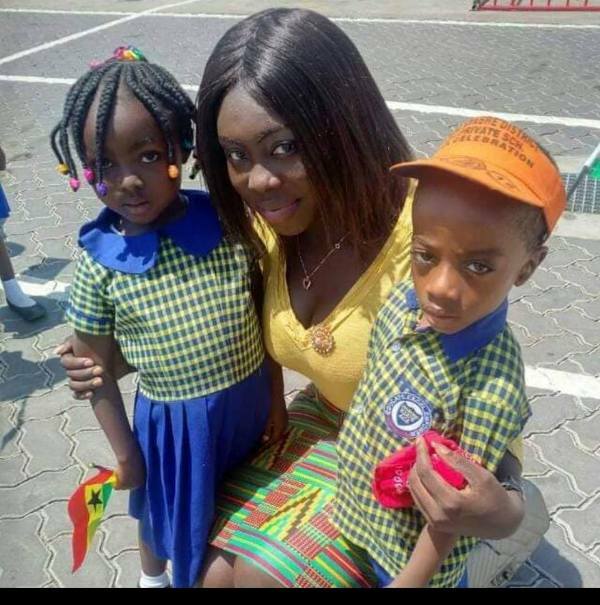 The News Hunter Magazine had an exclusive interview with a Kumasi-based teacher, Madina Ewuraama Asare known for her creative way of welcoming her pupils to school every morning. Currently, she plies her trade with Diamond State Academy in Kumasi, capital of the Ashanti Region. Madina has a special way of welcoming her pupils to school every morning. In this interview, she revealed how the idea was conceived, who her role model is and where she wants to be in the future as a teacher. 1. Who is Madina Ewuraama Asare? Madina is a young girl who is a sandwich student at the University of Education in Winneba. 2. Where do you hail from? 3. How old is Madina? I am 22years of age. 4. What inspires you to do what you are doing now? It is because of the passion that I have for teaching. I love to teach them so many things and that inspired me to do the video. 5. There are so many jobs around; why did you choose to teach? Teaching is what I love and something that I have the passion to do. There is no way I can quit something I love to do. 6. Where do you want to be in the next few years? I want to further my education because right now I am offering my diploma in early childhood education and again go for my master’s degree and PhD and whiles practising. My Dad who is also a teacher and Mr Hayford Appiah Kubi, who thought me way back in school at Osei Kyeretwie Senior High School popularly known as (OKESS) in Kumasi. 8. Have you been living all your life in Kumasi? Yes, I was born in Kumasi and am an Ashanti. 9. Can you share with us your relationship status with us, are you dating? Yes, I am dating, and he always tells me to be more focus on whatever I am doing. 10. What do you think will stop you from doing what you are into now? Nothing can stop me from what I am doing now. 11. How has your parent’s support been so far? They are happy and they also tell me not to give up on whatever I am doing…they advise me to remain focused. 11. How was the idea of welcoming your pupils to the classroom conceived? It was my headmaster who showed me a video and it was about a Black American doing same, so I studied her and also knew some of the ideas from her later I applied mine for it to be accurate. 12. You said Daddy is a teacher, what about Mummy? In the 80s she was working at Ghana Education Service and later left to Israel but now she is back at home and still in the service. 13. Among Daddy and Mummy, who is your favourite? They are all my favourites because they love me and also provide my needs. 14. How do you see the way people treat children in schools in our country? Actually, the only thing that I can say to teachers is that if you are really a teacher, try your best to teach the kids with a clean heart and again make sure they are always ready to be with you in the classroom.